When we launched The Media Briefing we wanted to use it to recognise innovation and excellence across the industry. As part of our related programme we decided to also launch an awards programme. The inaugural British Media Awards were held at Arsenal’s Emirates Stadium on April 26th 2012 with huge support from all sectors. Here is a short video of the highlights. Well done to all those winners and the short-listed companies. We’re already looking forward to next year. Apologies for the lack of posts here recently. Most of my thoughts are being posted as columns on TheMediaBriefing. Today I wrote a column on the site asking if big media companies will ever be able to successfully absorb digital media entrepreneurs into their corporate structures. Is it inevitable that the founder will leave? and can anyone point to success stories? I’d be interested to hear your views – either in the comments section of the article itself or over on our thriving LinkedIn group. What advice would you give to a younger you entering the media industry? I’m starting to write more regular columns for TheMediaBriefing. If you want to follow them please head over to the site – and while you’re at it sign up for some of the weekly newsletters. My last column followed a question on our LinkedIn group where I asked “If you could go back in time and meet yourself as a fresh-faced graduate about to enter the media industry, what advice would you give?”. We got some fantastic responses and I have added some of my own thoughts as well. Check it out. Back in 1997 I was running a small marketing team for a global B2B publishing company. We were developing online versions of our print publications & starting to experiment further with e-mail marketing. Web sites were very unsophisticated – tending to be little more than facsimile versions of our magazines. There was very little interaction with readers and we really treated the Internet just as a distribution channel rather than a great disruptor of business models. We had little idea of the emerging advertising/sponsorship models. Pricing decisions were agreed without any science or bundled in with physical products. User data was rarely gathered or intelligently used. Let’s fast-forward to today. We have a new and fast growing development in media consumption. The mobile web. With the increasing penetration of smartphones, tablets, eReaders, apps and mobile enabled websites, all the rules are changing again. Media companies are facing the same challenges that they faced in the 90’s and I know from personal experience that many are going to be taken by surprise by the speed at which things are moving. All too often significant decisions about mobile are being left to tech teams or rushed into as part of a ‘me too’ stampede to get a press release out about ‘our latest app’. STOP. You need to spend some proper time setting your mobile strategy.. Rob Grimshaw, the Managing Director of the FT’s digital operations said recently that he expected 50% of the FT’s digital readers to access content via a mobile device within the next 2 years. That’s a fundamental shift in consumption habits and really shows that the mobile web has arrived. The commercial realities associated with this shift in consumption mean that everyone in media needs to be involved in mobile product development – tech; marketing; sales and content creators. Set the right strategy. Right now. On June 14th The Media Briefing will be holding our second major conference. Mobile Media Strategies takes place at The King’s Fund in London’s West End and will hear from some of the most innovative companies in the mobile field. Companies including: Thomson Reuters * BBC Magazines * Guardian News & Media * The Economist * Incisive Media * Telegraph Media Group * Screen Digest * comScore * Microsoft * YUDU Media * Bonnier * DK Books * BSkyB * ImpulsePay & MobileTech. There’s a fantastic line up of attendees already confirmed (here’s a link to our advance delegate list) & we have limited places still available. The mobile media marketplace is developing so quickly. There are huge opportunities for the companies that can stay ahead of the curve. Register for Mobile Media Strategies today and we’ll help you on your way. I was delighted to hear recently that our new company had been shortlisted for 2 major awards by the Association of Online Publishers in the UK. It’s quite an achievement for a young, growing business like ours. When you look at the shortlists and see that we’re up against representatives of AOL, Emap, Econsultancy, The Guardian, IPC, UBM & News International it really puts into perspective how far we’ve come in the last 12 months. As we’ve built the business I have kept in mind some advice given at launch. Something I’d like to pass on. I can’t remember who it from but I was told to make sure “to spend 95% of your time on content and relationships”. Everything else was likely to be a distraction. That advice has proven to be invaluable and I’d like to thank all those who have worked with us along the way (you can see I’m already practising the acceptance speech…). Looking forward to the dinner on 9th June & hearing how we get on. If you work for a media business and are looking at the opportunities for the mobile development of your brands you should come along to Mobile Media Strategies in London on the 14th June. We have a fantastic line up of attendees already confirmed and it’s an area of crucial importance for all media firms. You really should come along – there are early-bird tickets available until May 20th. United Business Media, Informa and Reed Elsevier results – the health of big B2B media? I know. I’m a bit odd. But I love ‘results season’. Watching the results come through from the big media firms you get a unique perspective on how the industry is shaping up. They give you a pretty forensic view of markets, strategy and platforms. An overview you never usually get unless you’re employed directly in those firms. In previous years I have covered the results of UBM, Informa and Reed Elsevier individually on this blog. This year I’ve been a bit busy building our new business – The Media Briefing – so it wasn’t until today that I got a chance to catch up and watch the board presentations to analysts. After watching the webcasts this is my feeling about the health of the big three. Reed were the first of the companies to release their results. You can view the full report and view the webcast here. All of this has meant that the analyst presentations have been made very much on the back foot. This year Erik Engstrom was able to put on a more confident show. You could almost see his relief. Broadly the company’s results were fairly static year on year with a small growth in revenue and a small decline in profits. On the surface, stable. But under the surface there are clearly some big issues. The main one seemed to be the weakness of the Lexis Nexis part of the business and the high level of investment required. The legal markets are obviously still struggling, the Westlaw platform seems to be taking market share and their profits were down 12%. It was interesting that the Choicepoint part of the business had managed to grow margins from 24% at the time of aquisition to a staggering 38% now. At the same time Lexis Nexis margins were just 14%. So, what I took away from the Reed presentation was a perception of a company still very much in transition. Choicepoint and the re-bound of the exhibition business were collectively masking some deep underlying problems in Lexis Nexis and the continual re-positioning of Reed Business Information. Informa’s results felt more predictable. They are still benefitting from cost control measures implemented across the business – especially in the events field where it is easier for a conference and training company to quickly cut marginal events and overheads. Overall Informa had flat revenues but a decent growth in profits. Peter Rigby and his management team projected confidence and an uncomplicated outlook for the business. Clearly there are still challenges – for renewals in academic markets and Datamonitor sales – but this is a company firmly looking forwards. They will continue to focus on large events, geo-clone successful formats to new territories and move subscription products up the value chain. All in all I felt that Informa were the strongest and most confident of the 3 companies. They announced unequivocally that they “would have a good 2011” and that “interesting acquisition opportunities were opening up”. Their debt was under control and Adam Walker joked that for the first time in a long while the phrase “under-leveraged” had been used to describe them in an investor meeting. We recently interviewed Peter Rigby on TheMediaBriefing and asked him what worried him most. His answer was geo-political risk and so I suppose that whilst the company seems strong he is keeping a close eye on events in the Middle East. The UBM results yesterday (1 March) were the most intriguing. Last year I wrote about a company that was weathering the global storm pretty successfully. I suggested that they were transforming themselves steadily – and via a long stream of acquisitions – into an emerging markets exhibition company. It’s pretty easy to understand the strategy here. Whatever is happening in individual business verticals it appears clear that the strength of growth over the next 10 years is going to come from the emerging economies of, in particular, the Asia Pacific and Indian sub-continent. Exhibitions are a market that really benefits from scale and by acting as a consolidator I thought UBM was putting itself in a good position. A strategy of acquiring assets in these regions – as well as the Americas – seems sensible and David Levin has always impressed me as a no-nonsense leader of the business. … looking at their analysts presentation today gave me some cause for concern. In spite of the company’s “fastest rate of revenue growth in a decade” their profits were flat. This was put down to an increasing investment in new products, sales and IT systems but I suspect it is much more than that. There was an emphasis on ‘targeting, distribution and monitoring’ (PR Newswire) side of the business that I hadn’t seen before. I cannot see how the margins for this type of service are not going to be adversely affected by the easier distribution of information online and social media. In previous presentations I got the feeling that this service was not seen as core to UBM’s future. Likewise the focus on virtual events and development of better marketing services with print and online platforms combining to generate leads for sponsors was different. I suspect that the old CMP business is really struggling. There was also the announcement of the sale of The Publican (and some related brands) at what sounded a virtual fire sale price compared to the valuations it enjoyed relatively recently. I suspect what has been happening at UBM is that everyone has been extremely busy running around acquiring and integrating businesses. I know from bitter experience what a time-consuming task this can be – especially in overseas markets – and it must have been a significant management distraction. One which wasn’t helped by the global downturn and writedown of the print portfolio. UBM’s analyst presentation was by far the most confused of the three. It felt over-long and complicated. Sometimes less is more and the clear strategy that they had shown last year seemed to have been muddied. David Levin also gave an exclusive interview to TheMediaBriefing in October last year in which he highlighted the fact that there would be inevitable ups and downs for the company. 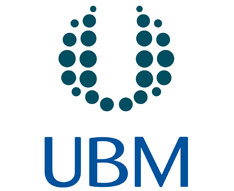 I can’t help but feel that UBM could do with a period of stability to really concentrate upon building a world-class emerging markets events business. I admire the company and am a long-term shareholder but David’s assertion that the re-focus of the company was done had a bit of a hollow ring to it.